A facelift is a cosmetic surgery procedure to improve and in some cases, eliminate evidence of ageing in the face and neck. The face is usually the first place to reveal the effects of time, sun damage and everyday life. The elasticity of our skin naturally changes as we get older, affecting the youthfulness of our appearance. 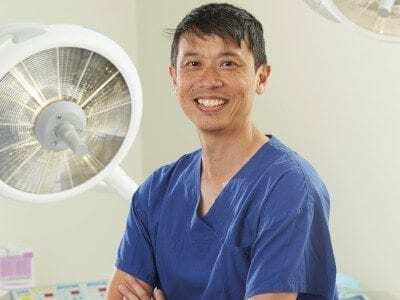 Facelift surgery in Perth can correct or prevent signs of ageing such as facial lines and wrinkles, sagging facial skin or a ‘turkey gobbler’ neck. To find out if a facelift in Perth is right for you, the first step is to book a consultation with your Specialist Plastic Surgeon. They will discuss your expectations and any concerns you may have. Pricing and post-operative care will also be discussed. What results can I expect from a facelift in Perth? The contour and tone of the face and neck can greatly influence your overall appearance. A successful facelift operation can help you look refreshed and more youthful. A facelift performed to correct sagging skin before lines and wrinkles have developed will often prevent the formation of these lines and wrinkles for many years, preserving a more youthful complexion. The timing of a facelift is a personal decision and your Specialist Plastic Surgeon at Assure Cosmetic Centre is the best person to determine if your expectations are achievable. How is a facelift in Perth performed? The surgical technique used for a facelift procedure depends on your physical features and your Specialist Plastic Surgeon’s method. Usually, an incision is made commencing in the hairline at the temple, extending in a skin crease down in front of the ear, around the ear lobe and then behind the ear, finishing in the hairline of the scalp. This allows skin to be separated from the underlying fat and muscle. The skin is then stretched upwards and backwards, and excess skin removed. In some cases, additional procedures such as removal of fat under the chin and tightening of underlying muscles is performed. The procedure usually takes at least 4 hours, depending on the extent of surgery involved. Depending on the desired effect, a facelift may be performed on its own or in combination with other cosmetic surgery during the same operation. Will I be hospitalised for facelift surgery? In Perth, facelift surgery is performed in an accredited hospital under general anaesthetic. An overnight stay in hospital is the norm, but this may be longer depending on your general health, the extent of the procedure and your surgeon’s advice. A compression garment is placed around the ear, cheeks and neck after surgery for 1-2 weeks and ice packs are applied on the ward. Sutures are removed within the first week after surgery. Bruising and swelling may take up to 2 weeks to settle, so it is recommended to take this downtime into account when planning your work or social calendar. You will need to attend a post-operative consultation approximately 5-7 days after facelift surgery, and again 7-14 days after surgery with subsequent post-op visits if required. Will Perth facelift surgery leave scars? Scars are an inevitable result of any surgery. However, with a facelift your Specialist Plastic Surgeon will make every effort to ensure any scars are as inconspicuous as possible. Most scars fade considerably with time, although there is individual variation in healing time and scar formation. Occasionally, thickened scars may develop, which require specific treatment by your Specialist Plastic Surgeon. Are there any side effects of facelift surgery in Perth? As with any surgery, there are complications that may occur as a result of a facelift. However, in the vast majority of cases, the surgery and the recovery are uneventful. Complication rates are higher with associated medical conditions such as diabetes, increasing age and organ dysfunction. Smoking around the time of surgery will also lead to a marked increase in wound-related problems. Bruising and swelling may take up to 2 weeks to settle, so it is recommended to take this downtime into account when planning your work or social calendar. Some patients feel tightness or numbness in their face and neck. These feelings may persist for a number of months, but will subside. Your Specialist Plastic Surgeon will discuss what you can expect from this procedure. It is important to carefully follow your Specialist Plastic Surgeon’s advice to reduce the risk of complications. When can I resume normal activities after Perth facelift surgery? A post-operative care plan will be discussed with you before and after the procedure. Returning to work and your normal activities is an individual matter and your Specialist Plastic Surgeon will advise you. Most patients usually take 2-3 weeks off work. Normal make-up can be applied after 7-10 days and it is very important to protect your skin from the sun. Sports or strenuous activities should be avoided for at around 3 weeks, and complete healing and recovery may take a few months. How much does a facelift in Perth cost? Your Specialist Plastic Surgeon will provide an indication of the likely costs, such as your surgeon’s fee, anaesthetist’s fees and hospital and theatre fees. Your surgeon’s fee includes all post-operative care and nurse dressings. Pricing will vary from case to case, but an indicative range of your surgeon’s fee is $7,000 to $15,000 excluding GST. Anaesthetist, hospital and theatre fees are additional.